 Assemble, install, test, and maintain electrical or electronic wiring, equipment, appliances, apparatus, and fixtures, using hand tools and power tools.  Diagnose malfunctioning systems, apparatus, and components, using test equipment and hand tools, to locate the cause of a breakdown and correct the problem.  Connect wires to circuit breakers, transformers, or other components.  Inspect electrical systems, equipment, and components to identify hazards, defects, and the need for adjustment or repair, and to ensure compliance with codes.  Advise management on whether continued operation of equipment could be hazardous.  Test electrical systems and continuity of circuits in electrical wiring, equipment, and fixtures, using testing devices such as ohmmeters, voltmeters, and oscilloscopes, to ensure compatibility and safety of system.  Plan layout and installation of electrical wiring, equipment and fixtures, based on job specifications and local codes.  Diploma in Electrical Engineering, Electronics, FTC or other related field from recognized institutions.  Demonstrable understanding of industrial electrical installation.  Excellent interpersonal, teamwork and supervisory. 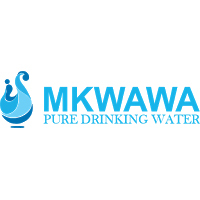  To install, repair and maintain pipes for carrying water, sewage, gas and other liquids to Mkwawa Pure Drinking Water residential houses and industrial facilities.  To install and repair sinks, toilets and other plumbing fixtures, as well as appliances including dishwashers and garbage disposals.  Diploma in Mechanical Engineering, Plumbing, FTC or other related field from recognized institutions.  Demonstrable understanding of industrial piping system and underground drilled water bole holes.  Observe machine operations to ensure quality and conformity of filled or packaged products to standards.  Adjust machine components and machine tension and pressure according to size or processing angle of product.  To operate machine that packages product.  Remove finished packaged items from machine and separate rejected items.  Top or reset machines when malfunctions occur, clear machine jams, and report malfunctions to a supervisor.  Secure finished packaged items by hand tying, sewing, gluing, stapling, or attaching fastener.  Diploma in Mechanical Engineering, Electrical Installation, Electronics, FTC or other related field from recognized institutions.  Demonstrable understanding of pneumatic filling lines.  The Blow Mold Operator is responsible for operating plastic blow molding machines and making necessary adjustments to ensure production of plastics bottles is made in a safe, efficient and high quality manner.  Sets up and operates blow molding machine to mold plastic products according to specifications: Turns valves to start flow of water and release air pressure to machine.  Moves machine controls to set timing unit and temperature of heating unit and start automatic feed mechanism.  Adjusts machine mandrel and aligns mandrel with mold chamber, using wrenches.  Starts molding machine that automatically feeds material from mixing unit to mandrel and to mold chamber.  Closes chamber to mold product under heat and pressure.  Removes work piece from mold after timing device opens mold, and trims excess material from work piece, using knife or band saw.  Demonstrable understanding of Chinese blow molding machine.  Sets up and operates injection-molding machines to cast products from thermoplastic materials: Installs dies on machine, according to work order specifications, using clamps, bolts, and hand tools.  Sets machine controls, regulating molding temperature, volume of plastic, molding pressure and time, according to knowledge of plastics and molding procedures.  Dumps premixed plastic powders or pellets into hopper, and starts machine.  Pulls lever to close dies and inject plastic into dies to cast part.  Removes finished product from dies, using hand tools.  Trims excess material from part, using knife.  May mix thermoplastic materials and coloring pigments in mixing machine, according to formula.  Demonstrable understanding of Chinese injection machine. Deadline to receive application is 1st December 2017.